Felix Lee, the producer formerly known as Lexxi and 5tarb01, Elysia Crampton collaborator and ex-organiser of the culture-clash Endless parties and its namesake NTS radio show, has signed to Planet Mu. 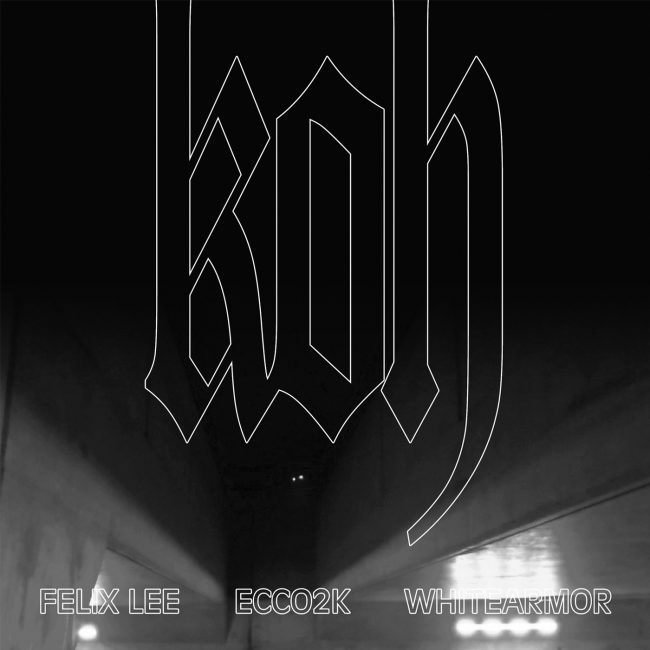 The first fruits of his future album is ‘KOH’, a vocal debut from Felix, co-produced by Whitearmor with additional vocals by Ecco2k. Felix delivers his cascading verse through spiralling fx, as if in a haze of insomnia, “It’s like I’m living inna daze”, Ecco2k operating as a dual voice, as the delicate synths seem to shimmer back in response. “I’m the king of hearts I got missing parts”; the lyrics paint an ambigiuous picture of detachment and shapeshifting, dreamt through the lense of a petty thief; “I’m breaking thru your locks, jumper cable knots, run off with the engine block”. A taste of what’s to come. Can’t you see all this energy. Took over me, I can’t even sleep. When I creep on the scene I’m discreet. You won’t notice me, I came and left with what I need. all these faces with no name. These times you’ll find me out here on my ones. And I’m frozen, and I’m frozen. But I’m golden, I stay golden. ’til we touch the soil. (King of hearts, I got missing parts). Razor sharp, careful you might slip and fall. German shepherd guarded but I’m not scared of dogs. In the parking lot and I’m breaking thru your locks. Jumper cable knots, drive off with the engine block. Watch where you walk, careful you might slip and fall. I watch out for stalkers, and don’t trip no alarms. Don’t wake the dogs, please don’t wake the dogs.